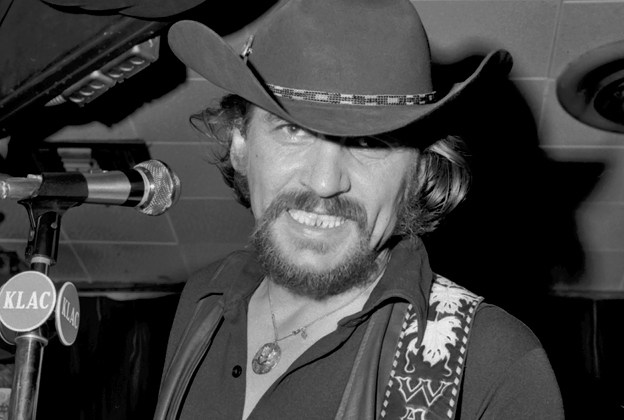 By the early 70s, Jennings, tired of both the clean cut image and his conservative Nashville career of the past decade, elected for a more rebel rousing persona, and a songwriting cohort that could reflect a more uncharacteristic take on the sterile country style that prevailed at the time. Enter Billy Joe Shaver, a 34 year old Texan with a yearning ambition as a Nashville songsmith and country star of note. 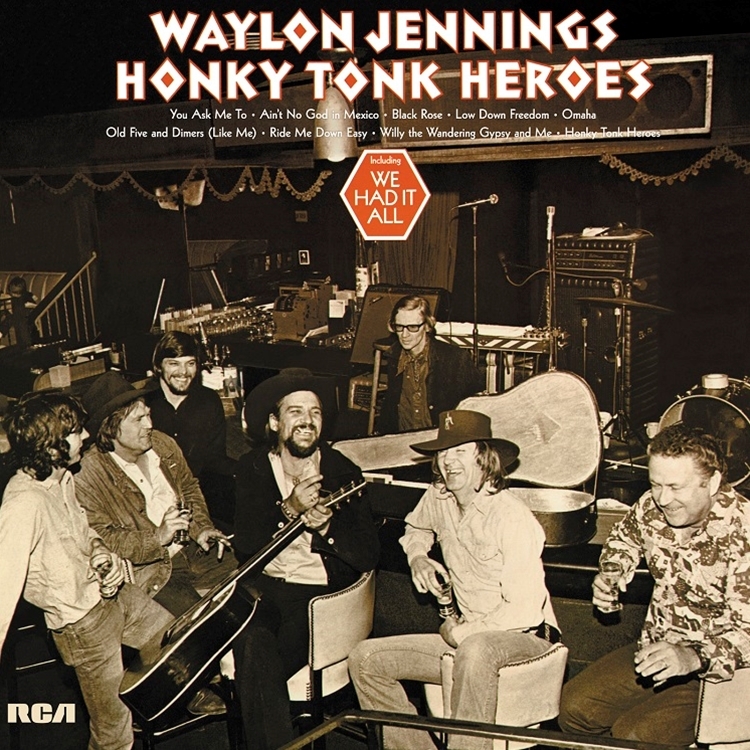 Nine of the ten songs on “Honky Tonk Heroes” are either written or co-written by Shavers, carefully geared towards Jennings’ intention to represent a raw, stripped down, earthy performance. His tailored songs certainly fit the blueprint, as the singer’s world weary baritone wraps around stories of complicated love, lawless barren lands and plenty of references to the outlaw life. Ambition fulfilled, many regard this twelve song collection as Jennings’ most inspired recording. Undoubtedly the up-tempo numbers ignite the listener’s initial attention. The title track for example, explodes with a simple gusto one only wishes the rest of the songs could maintain. Sadly though, most of these melodramatic dilemmas are deliberately languid in execution, dreary and mournful. As stand alone songs, this lack of urgency may matter little, but over the course of 30 odd minutes it’s a struggle to maintain focus on Jennings’ doleful vocal, listless instrumental backing, and sluggish rhythms. Teasingly, when there is some interesting guitar and steel guitar interplay, as on “Slow Rollin’ Low”, it’s too late and far too fleeting to fully re-engage one’s overall interest. Overall “Honky Tonk Heroes” represents an archaism, mediocrity and lethargy that seemed all too commonplace in 70s country music. You were right about the aha moment not arriving – glad I didn’t take the $10 bet! It was a battle, and unfortunately Waylon didn’t win me over. Up next…The Stone Roses. Wanna take a stab at how I’ll rate that?